The following is a sponsored post in partnership with Joyce Miracle Elixir Collection. All opinions are 100% my own. Maracuyá Oil (AKA passion flower oil) is cold pressed in a special process from passion flowers in the Amazon, where people there have been relying on its beneficial properties for hundreds of years. It’s extremely rich in vitamin C and essential fatty acids to nourish your skin and hair, where it’s easily absorbed. The fatty acids in the oil are also beneficial to restoring damaged hair. Formulated to hydrate your scalp and hair. Gently cleanses, protects color and transforms your strands for everyday use. 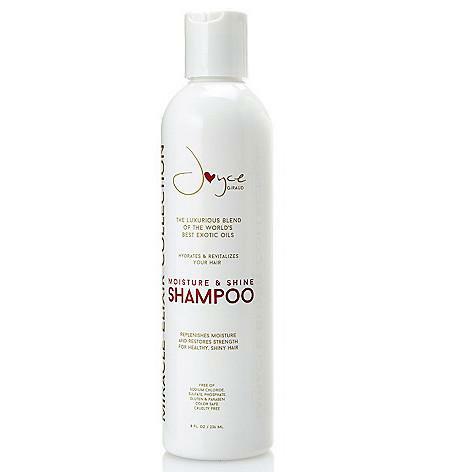 Replenishes moisture and restores strength, leaving your hair healthy and shiny. 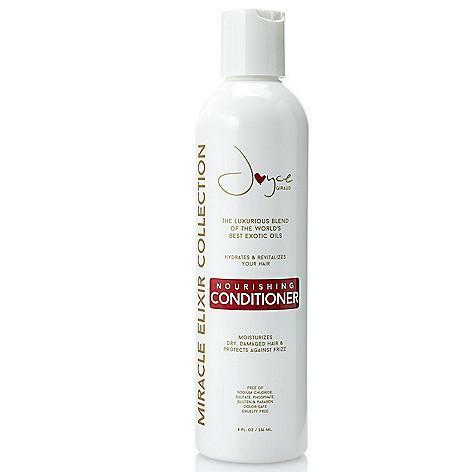 Restores moisture, detangles and provides shine for all hair types. Hydrates and revitalizes your hair. Nourishes dry, damaged hair and protects against frizz. 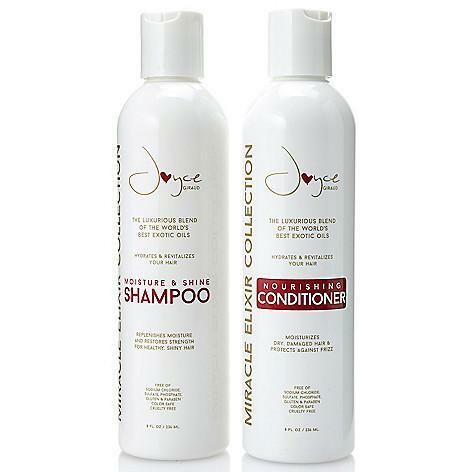 Perfect for all hair types that want beautiful hair that is nourished without losing life and bounce. Suitable for all hair types who want a nourishing hair serum with Joyce’s 4 oils, as well as other amazing ingredients. 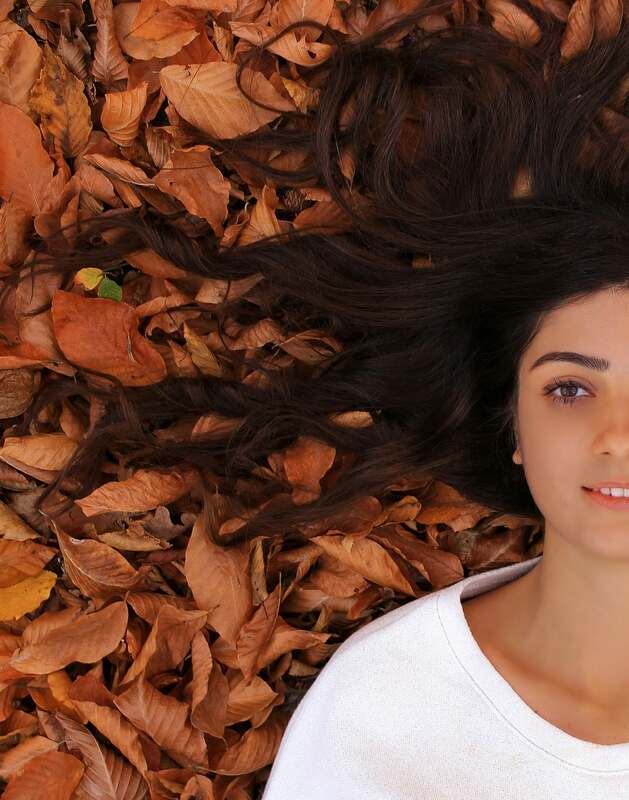 It contains some of the best oils available for hair today, maracuya, buriti, moringa and argan. 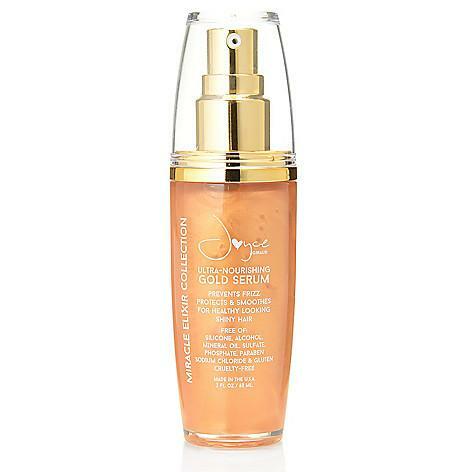 This serum helps seal split ends, provides softness to your hair and helps prevent frizz. Give your hair the gift of gold! Great for the entire family! My kids love the scent and even like to use it as a body wash. My husband says his hair feels much stronger and I personally love the fact that I know I finally have in one product all my favorite oils! I don’t have to compromise; my hair is nourished and top of it, my hair still has that beautiful, fresh bounce I love. Those of you who know me know that I personally recommend not washing your hair every day. However, if you are like my hubby who feels the urge to wash his hair every day, my Miracle Elixir Shampoo is gentle enough to use every day. That’s why I was adamant about not having all the harsh chemicals I don’t personally like on my hair. When Joyce was asked, “Why the Blend of Oils?” she replied, “Because I don’t want you to have a million products, but I want you to have the best. Joyce Giraud is a wife and mother and an actress/producer/philanthropist. She was born and raised in Puerto Rico by a single mom whom she calls her hero and credits with inspiring her to always strive for the best and to never give up. Crowned Miss Puerto Rico, Joyce was featured in the Real Housewives of Beverly Hillshit reality show and appeared in the movie, The Girl with the Dragon Tattoo. All in all, the Joyce Miracle Elixer Collection is awesome. I love how my hair feels! Thanks to these products, my black hair is silky soft and healthy with a high, intense shine. It was good to break out of the boring shampoo routine and switch to a better product line. When I invest in my hair I expect results, and this collection did not disappoint. Thank you for spending time with me today! Please subscribe and leave your comments below to automatically be entered to win cool prizes like free books, skin care and make up from The Badass Fun & Games Department!